When the fires hit the Okanogan Valley in the summer of 2015, everyone was affected. The forest was decimated. Residents lost their farms. Firefighters swarmed in from across the West, setting up tent cities in parking lots to fight the blaze. What is the mission of a church? Pat’s church has a mission to follow Christ by doing good deeds and helping people extract meaning from the world around them. You could argue that to be relevant in the context of the church’s mission, the church had to do both things in response to the fires — good deeds and extraction of meaning from tragedy. Pursuing an institutional mission doesn’t necessarily require pursuing relevance, but the opposite is not true. 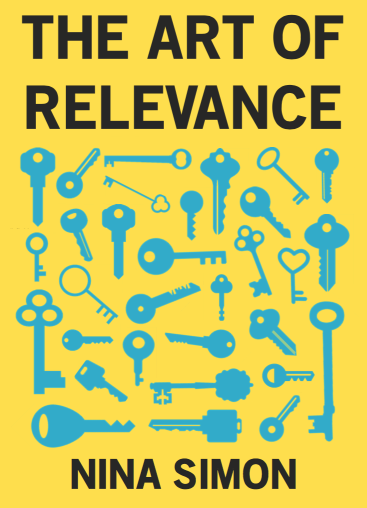 Strong bids for relevance open new doors into the core of the institution—its mission. Can an organization pursue its mission and be irrelevant to its community? Absolutely. Imagine a symphony with a mission to present the music of one composer in a particular city. If no one in that city gives a darn about that composer, you can be pitch perfect on mission and irrelevant to your community at the same time. Can an organization pursue relevance without grounding it in its mission? Many do… at their peril. Institutions that pursue relevance without connecting it to the mission run into problems of clarity and focus. They risk falsely separating their efforts to engage communities from their efforts to achieve their mission. The result is often an exhausting internal battle between “outreach” and “core” activities. An institution’s mission is its clearest statement of its purpose. If community interests are swirling around you, your mission keeps your ship steady. You don’t abandon it. You use it as a rudder. It helps you know which way to turn in the storm of possibilities. It provides the confidence needed when you set out to understand your community and how you might be relevant to them. Institutions with clouded or contested missions are like ships full of mutinous factions. Instead of one shared mission, each department has its own private version of the mission under which they operate. One department thinks the mission is about outreach. Another thinks it’s about aesthetic quality. Another thinks it’s about rigorous research. When an opportunity arises to be relevant to a particular community, organizational leaders go to war. If they disagree about what the mission means or how it relates to community relevance, they’ll never be clear about what’s worth pursuing or letting go. Institutions with clear missions sail right past these arguments. When they know themselves and their purpose, they can honestly assess which communities are worth investing in and which bets on relevance are worth taking. They can train their eyes on the great ocean outside instead of getting stuck in the skirmishes on deck.